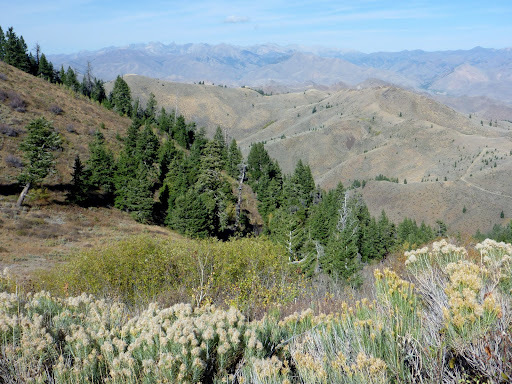 On day three of our week in the Idaho uplands, Shawn and I traveled up to Hemingway country, not far from Sun Valley, to look for chukars. 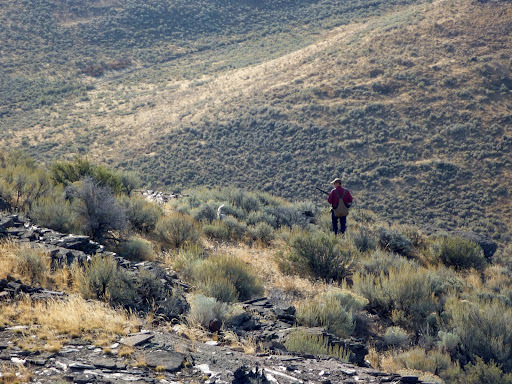 In this rugged rimrock landscape, we found hundreds of chukars the November before. So we had high hopes for the day, especially after our banner day of quail hunting the day before. 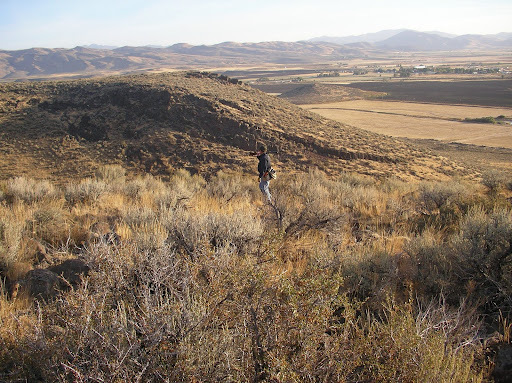 Andy walks the ridges searching for the elusive masked bandits, chukar partridge. Although we hunted hard and searched high and low, we did not see a single bird. We decided the birds were still spread out and would not migrate to the southfacing slopes until the first hard snows. Pursuing chukar was a bit premature last October. Shawn Wayment enjoying the scenic rimrock country. 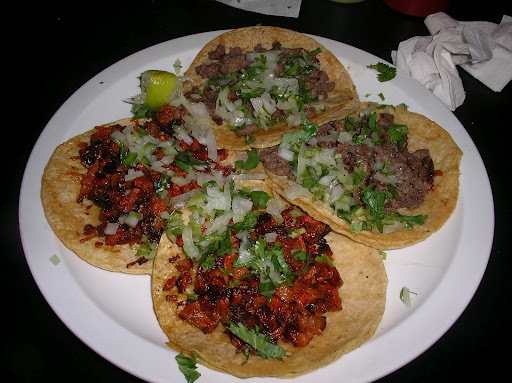 The highlight of our day was stopping at our favorite taco joint in Bellevue, Idaho: Taqueria Al Pastor. I would venture to say that not only does this little restaurant make the finest tacos in the Wood River Valley (they have an award to back it up) but maybe even the world. When asked the question, Shawn conceded that these were the best tacos in the world. 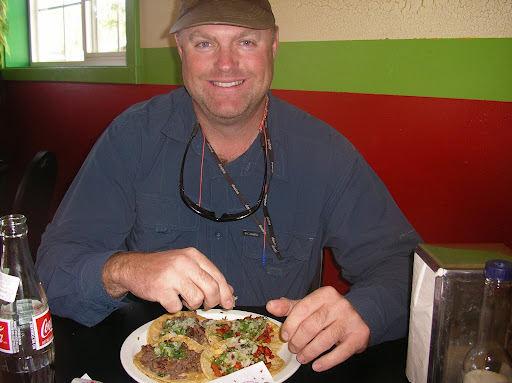 Shawn confesses with a grin that these tacos are the best he’s ever had. 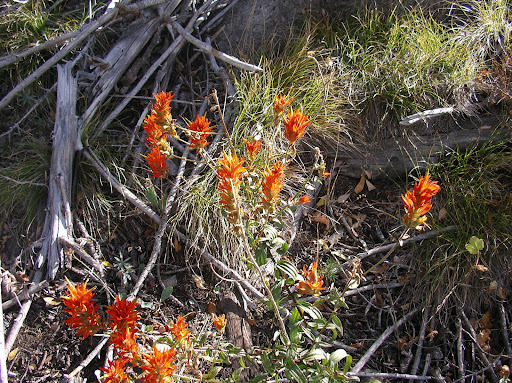 Indian Paintbrush, my favorite flower grows in blue grouse country, the alpine areas of Idaho. Shawn and I decided to take to the high country in search of blue grouse that afternoon. Again, we hunted hard, but did not see any birds. In Reflections on a River, Howard Marshall wrote something about fishing, which I think applies equally to bird hunting: “Fishing [and bird hunting] consists of a series of misadventures interspersed by occasional moments of glory.” In other words, the nature of our outdoor pursuits is such that we can’t expect to have banner days every day. Blue grouse country in Central Idaho. But even without any birds, I still do not count this day as a loss. I love what Ted Nelson Lundrigan wrote in A Bird in Hand, about hunting: “Our bird hunting time is precious. I have already written that the greatest trophy I can get from any day in the woods is six hours without a care in the world.” I agree. Who can complain when you get to spend a day in beautiful country with your brother and best friend and your bird dogs? My friends, the birds are just the bonus! And even on those days when you can’t find a single bird for all of your efforts, there’s always tacos. Feast your eyes upon the best dang tacos in the world. Did they improve Shawn's shooting? Nothing else has. Hahahahaha.